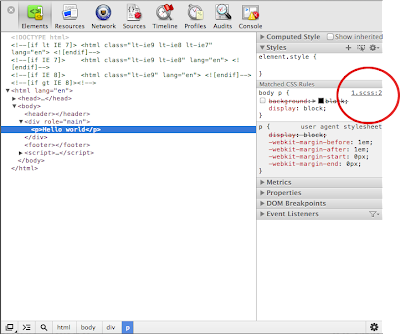 Google Chrome has experimental SASS support in web inspector. enable Enable Developer Tools experiments. 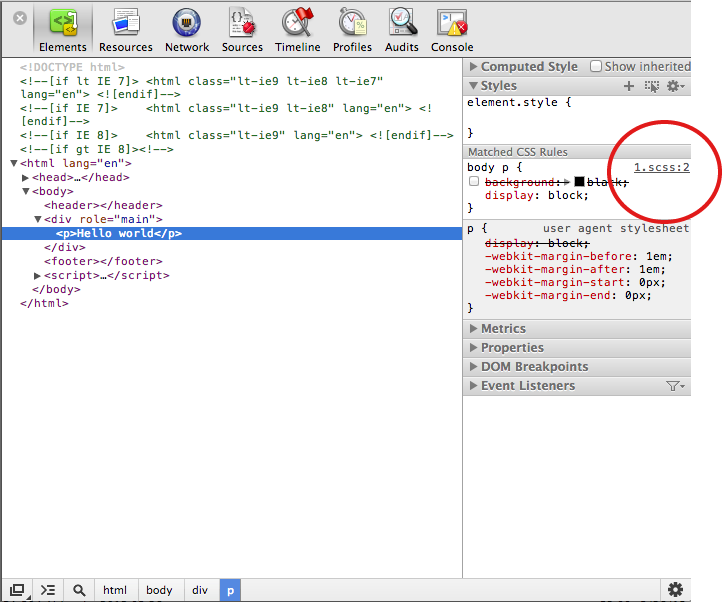 You may have to reload web inspector to make settings apply. To make it work your generated CSS needs to include line numbers, which with Chrome can connect your CSS to SASS. If you're using the command line compiler --line-numbers will do the job. If everything works you should see SASS code when inspecting elements.